I love the idea of this ad. 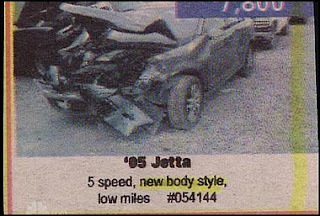 Ok, so the Jetta is all smashed up - lets call it a "New Body Style". Whats the bet that this ad was designed by someone in Marketing?